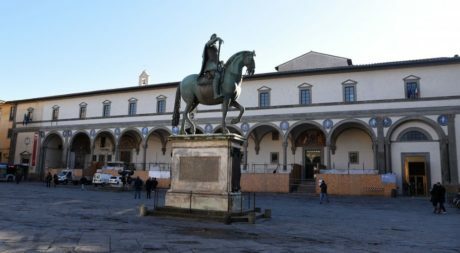 The principal railway station in Florence – Firenze Santa Maria Novella -is a 15-minute walk from the Istituto degli Innocenti; there are train services to Venice, Torin, Verona, Milan, Bologna, Rome, Naples and other. The Congress Secretariat will send you a letter of invitation upon request. The Organizing Committee would like to clearly state that the letter is only to help the participant to obtain a visa or to raise travel funds and has no further financial obligations from the congress towards the participant. The Congress Secretariat is only able to send you the letter of invitation after receipt of your registration and payment. A valid passport is required for non-EU citizens for entry into Switzerland. An identity card is sufficient for citizens of EU Member States. Please consult the Consulate nearest to you for special details. All participants will receive a congress kit including congress scientific program and congress badge. Entrance to meeting halls, poster and exhibition area will not be permitted to any person without badge. Upon payment receipt, the Organizing Secretariat will send you an invoice as receipt of payment. November 14, 2018, 7:00-9:00 PM: Palazzo Strozzi. Guided visit to the exhibition of Marina Abramovich during the performance of the Well Dance Group from Bassano Del Grappa and patients with Parkinson. A light dinner-cocktail will be serve from 7pm-9pm. November 15, 2018, 6:00-7:30 PM: Istituto degli Innocenti. War World I: Celebrating the 100th anniversary of the end: Canti degli Alpini, Coro CAI Bologna, Followed by guided visit of the Museo degli Innocenti. We are accepting poster submission highlighting your research findings. An award will be presented to the best four abstract. The Organizing Committee has the right for any reason beyond their control to alter or cancel, without prior notice, the congress or any of the arrangements, timetables, plans or other items relating directly or indirectly to the Fresco Conference. The Organizing Committee and the Congress Secretariat shall not be liable for any loss, damage, expenditure or inconvenience caused as a result of such alteration or cancellation.